“Tell me who you cannot criticize and I will tell you who is your master”. (Attributed to Voltaire). Saying anything negative about Israel has long been the third rail of US politics and media. Israel is our nation’s most sacred cow. Any questioning of its behavior brings furious charges of anti-Semitism and professional oblivion. Keep this issue front and center and watch Israel’s vise grip on Congress start to loosen. BDS! Well said Mr. Margolis! As an American Jew whose relatives died at the hands of the Nazi’s, I understand antisemitism and the propaganda that is used to discriminate. What these brave women have had the courage to speak is true and deserves to be discussed. AIPAC owns the majority of our government, as witnessed by the legislation passed to silence their critics(in violation of the 1st amendment). With all the media endlessly telling us about how Russia interfered in the 2016 election, they utter not a word against the control Israel has had over our government for decades. I remember what happened to Cynthia McKinney because she refused to sign the loyalty oath with AIPAC. How many individuals in our government have dual citizenship with Israel?? You can not serve two masters. The conversation about the control of AIPAC is way overdue. These women deserve our gratitude and support!!! Entered WW1. It began with the Balfour letter. 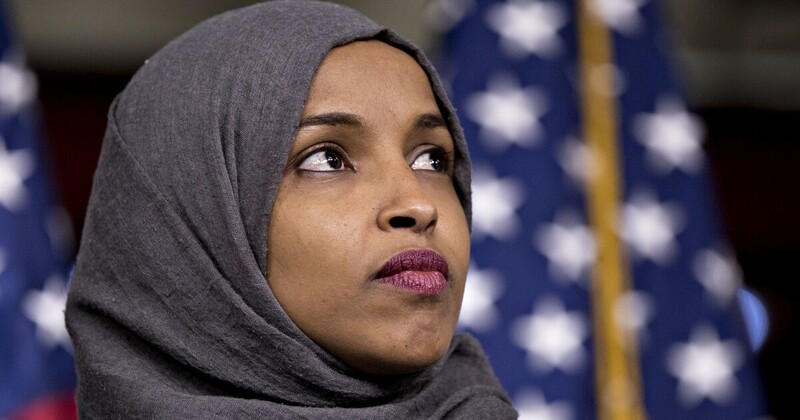 Rep. Ilhan Omar, D-Minn., is right about one thing: Former President Obama is a fraud. Now they are going to say she hates Blacks. The title of this piece, ‘More Power to Miss Omar’, should be elaborated upon, to include all the voices rising up, amidst the new class of elected individuals, of which we could use many more, and hopefully will see in ever increasing numbers. It’s difficult to say what is most impressive about her and those like her . . . the intelligent and diplomatic articulation of issues . . . the courage to speak out . . . the willingness to be a true human being, among the throng of all those who seem to have forgotten what that means, to themselves and all of us on this planet. Perhaps, indeed, it is the total of these that impresses and inspires. One can only hope there are many to follow her, and their, example as we continue the struggle. Hi Jhoj474: HI , here is the Balfour Letter from 1917 which Balfour gave to Lord Rothchild in case people have never read it. Murderous regimes deserve no respect. Playing their “Trump” card of “Anti-Semitism” only lumps all Israelis in with the murderous Zionists. Still shows them for what they are and will remain, "Hypocritical Racist Murderers." I like her a ton too. She is one of what I am calling the “new hires.” Naive in a great way, similar to Jimmy Stewart’s character in “Mr. Smith Goes to Washington.” Except that Stewart’s character didn’t realize ahead of time that his greatly admired Claude Rains’ character was corrupt. These new hires know they are entering corrupt country but they are similarly detemined to bring a new day with honest issues and honest efforts. In that regard they speak the same truths we have known increasingly but which MSM and the “top” “leaders” have been afraid to say. Add in Ocasio-Cortez and Rashida Talaib (I totally loved the invitation to meet her grandmother. I don’t think I would have had the grace to be so inviting.) and a few more (not all). These are the ones who come from a solid core, not artificially-constructed talking points and counterpoints with which they are so fluent (Booker, for example). Republicans, establishment Democrats, and Washington consensus pundits are actively engaged in concerted efforts to demonize socialism, social justice, and progressive leaders including Ilhan Omar, Rashida Thalib, and Alexandria Ocasio-Cortez. As the 2020 election gets nearer, there is no doubt that Democrats will champion a Republican-lite Democrat such as Joe Bidden. Then there will be a ‘no-prisoners’ all out war on progressives. Progressives who refuse to shut up and support a ‘lesser of two evils’ right wing platform, will be vigorously attacked by conservative Democrat’s. I am not sure if Ilhan Omar, Rashida Thalib, and Alexandria Ocasio-Cortez will be able to remain in power under this onslaught, but I know that the only way to resist this, is through intense grassroots community organizing. It was used to get US jewish Zionists in influential positions to pressure the US govt to enter the war on Britains side. Louis Brandeis, a Supreme Court judge, president of Zionists of America, and advisor to Pres. Wilson and other Zionists did exactly that and were successful. So, the first war the US fought for Israel was WW1. And probably say that she is not a true democrat. After all she just attacked the democrat sacred cow. Palestine couldn’t pursue a genocide on Israel, even if it wanted to. Silly. Contract murder goes on in every country, everyday. According to right-wingers and other bigots, the hijab is a symbol of the repression and muzzling of Muslim women. Ms. Omar seems like a rather tough and outspoken person to me. And this from the proud wearers of MAGA caps, no less; which are surely a symbol of a lack of critical thinking skills. Miss Omar’s courage to speak truth to power must unite the 99% and not allow us to let up on the criticisms of Israel. Though 99% of Americans are not progressives, only Progressives represent the 99% and the sooner the American public learns this, the sooner we can start transforming the U.S. into a functioning democracy free of corporate corruption. Our next step is for ALL Progressives to join the Democratic party and explain that the Party must support some core principles as we will not stand for ANY Democrat that stands behind their corporate benefactors. Once we recognize A) who our other progressive allies are and B) how many of us there actually are, we can then demand democracy within the Democratic Party or else launch a last minute break away from the Democrats and run independently on behalf of the 99%. It will a tough battle as pharmaceutical and healthcare companies, Big Oil, the MIC and Wall Street will throw everything they have at us to maintain the status quo. Violence, lawsuits, character assassination (just look at what they have said about our brave Congresswoman Miss Omar?) and a host of other ugly tools will be used to crush dissent. Though those seeking justice will be labeled “Enemies of the State” and the indoctrinated and confused foot soldiers of the far right will gladly take up arms against their fellow Americans to protect the 1%, we must stand united in face of this ruthless assault by the powerful against us. If we’re lucky, we will be able to break free from the destructive forces of these two, anti-American parties via the ballot box. If not, armed revolution will be the only option we have to free us from the tiny cabal of sociopaths. Journalists learn this first commandment very early. Criticize, or even question, Israel at your own peril. Miss Omar is corroboration of this statement by Mr. Margolis. She has shown the corrupt, Democrats for what they are: SYCOPHANTS AND QUISLINGS FOR ISRAEL! “The prescient and courageous Pat Buchanan”!!! Even a broken clock is right twice a day and the asshat Pat Buchanan is anything but “prescient and courageous”. Have you researched this person AT ALL? Geesh! You can love a rattlesanke of you want, but if you play with it, it will bite you and inject poison into your system.